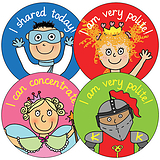 These delightful stickers are perfect for rewarding brilliant behaviour and classroom conduct. 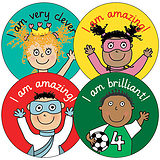 There are 35 stickers per sheet. 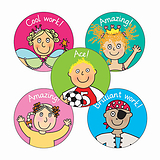 These are great for handing out a quick reward to the students who have achieved that extra special recognition.